A plastic body LED lamp. Lamps are available in either single function or dual function. 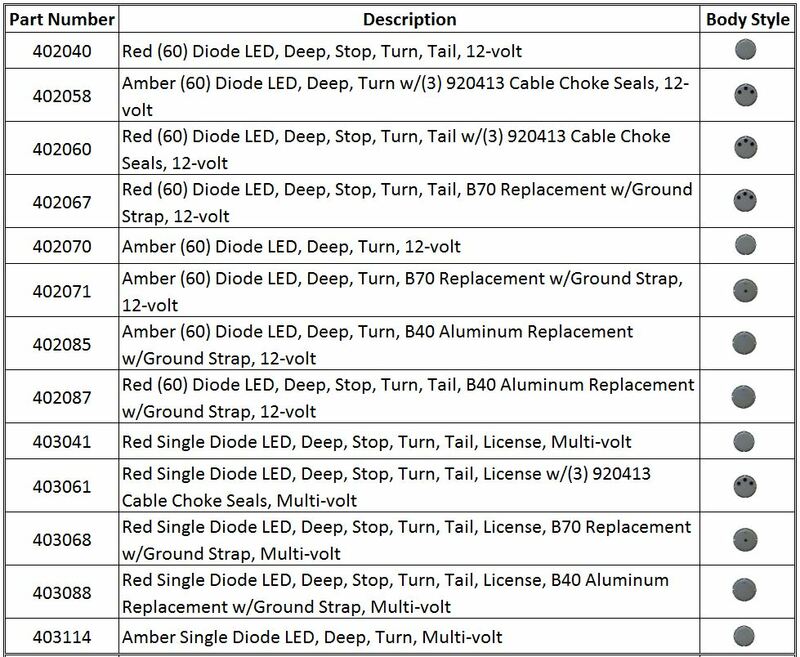 Multi-diode LED lamps use a 710011 red or 710012 amber deep LED lens assembly that can be wired as either a single or dual function lamp. 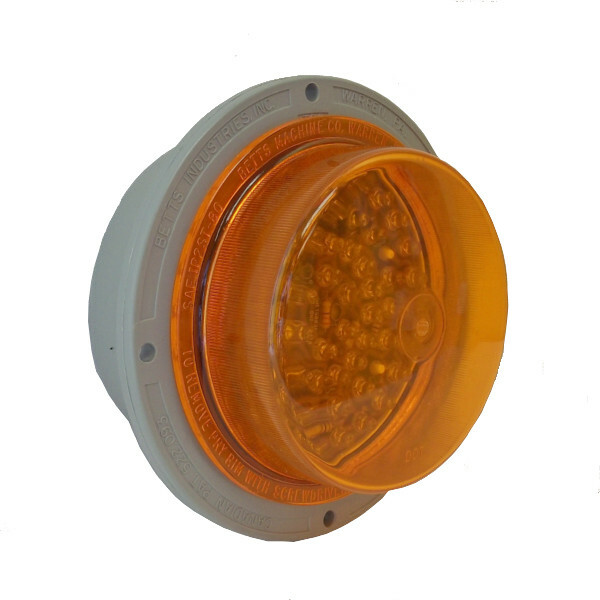 Multi-voltage LED lamps use a 710034 single diode amber deep LED lens assembly or a 710025 single diode red deep LED license lens assembly. 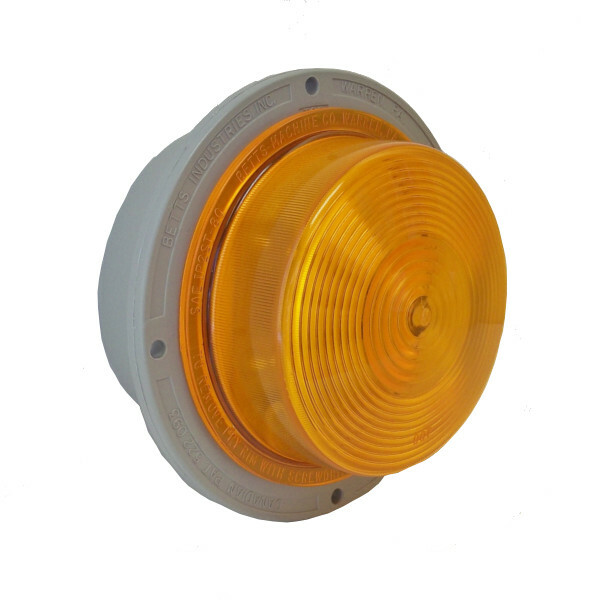 All B40 direct aluminum replacement lamps come with a ground strap that utilizes the base as a ground like an aluminum base lamp. 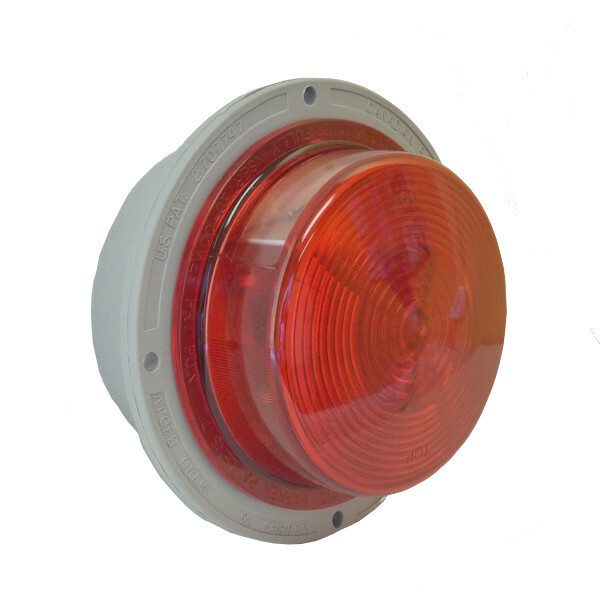 All B70 direct aluminum replacement lamps come with a ground strap that utilizes the base as a ground like an aluminum base lamp with a drilled and tapped 1/4” NPT hole in the center with a rubber choke seal installed. specification sheets for this product line. If you cannot find what you are looking for, please contact one of Betts’ Customer Service Representatives for further assistance. Betts prides itself in being able to provide products that meet a customer’s specific needs. As a result we do offer modifications to our product standards. While not every request is always feasible, we do our best to meet your specific needs. 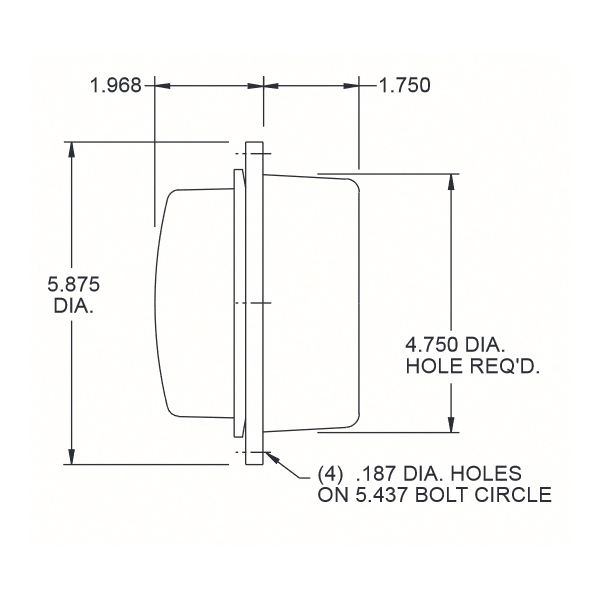 In many cases this modification is noted by adding a suffix to the end of the standard part number. The following is a non-inclusive list of common options that are available for this product line . If the options listed below do not meet your requirements please contact one of Betts’ Customer Service Representatives for further assistance. Please note that some product modifications may result in extended lead times.